Keratoconjunctivitis (EKC) – One of the most contagious eye diseases, EKC is an eye inflammation happening at the conjunctiva (the thin membrane covering the white part of the eye). Severe red eye, excessive tears, foreign body sensation and photosensitivity are the major symptoms. It is usually caused by a group of viruses known as adenoviruses which can also cause other upper respiratory tract infections, such as common cold. If you experience sustained and severe red eye right after catching a cold, there is a high chance for you to get EKC. It is a highly contagious eye disease and both eyes will most likely be infected (one eye following the other). Severe EKC will lead to corneal inflammation which can cause vision loss, therefore it is crucial to understand its nature. In terms of treatment, there is no drug that can cure EKC effectively at the moment. Cold compression and using refrigerated artificial tears may help alleviate the symptoms. The conditions commonly will get worse at day 4 to 7 but should resolve by itself after 2 to 3 weeks. Due to its highly contagious nature, patients should not go to work or school, and rest at home. After recovery, used towels and bed sheets should be cleaned properly for avoiding re-infection and transmitting the disease to other family members. 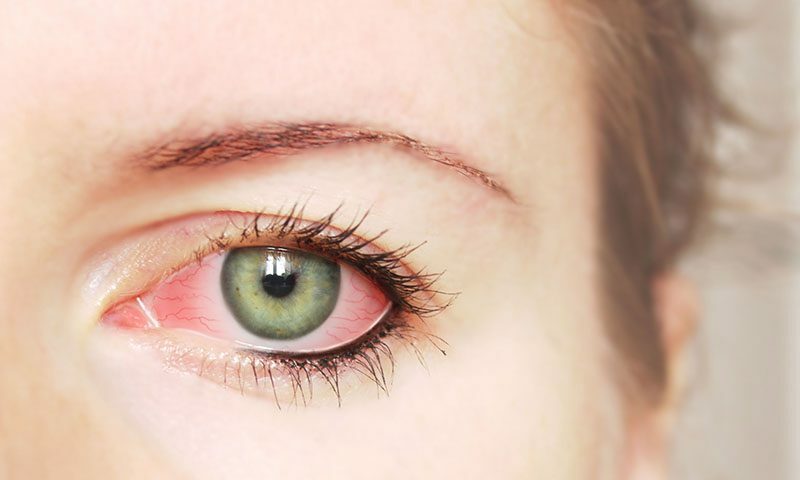 Apart from EKC, many other eye diseases, such as allergic conjunctivitis, bacterial conjunctivitis, sub-conjunctival haemorrhage, contact lens related acute red eye and acute iritis can cause red eye. If you experience any eye discomfort together with red eye, you should seek help from the eye care professionals as soon as possible for further investigation.